Cloud computing colossus Salesforce.com predicted it would reach $5bn in revenue during 2014 as it announced its third quarter results yesterday. The company chose the first day of its annual Dreamforce conference in San Francisco to make the statement before CEO Marc Benioff’s opening keynote on Tuesday morning. Revenues hit $1.08bn for the three-month period, which translated to a 36% rise year on year, but a slight drop from the previous quarter’s $1.8bn figure. The majority – $1bn – came from subscription and support revenues. But the $72m it earned from professional services and miscellaneous revenue additions was up by 50% from 2012. Benioff boasted about the company’s results, claiming the numbers would add up to a record year for his firm. "Given the strong customer response to our next-generation social and mobile cloud technologies, I'm delighted to announce that we expect to deliver our first $5bn year during our fiscal year,” he said. 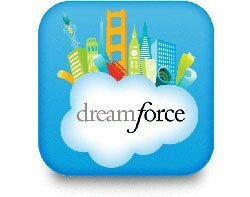 Salesforce.com has predicted its fourth quarter will bring in revenues of between $1.124bn and $1.129bn – an increase of 35% year over year.